Our next stop after Black Point was Staniel Cay, an easy, lazy 11 nautical miles up the Exumas. With one of the few places to get diesel and water in the area, Staniel Cay was the busiest place we had been since leaving Georgetown and it was initially a little jarring. I can only imagine how much starker the contrast will be when we return to the United States at the end of the month! Boats ranging from regular to mega yachts went in and out of the harbor, and the anchorage was busy with dinghies of all types and sizes zooming back and forth. Despite all of the activity, we really enjoyed Staniel Cay. The water was crystal clear and had the most beautiful shades of blue that we had seen so far. The pictures really couldn’t capture it. 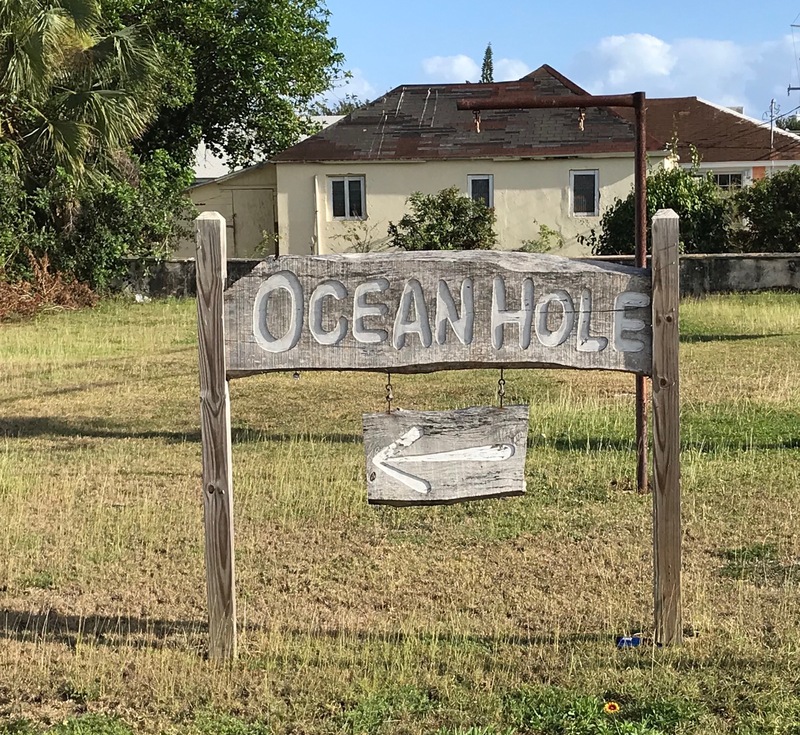 When we decided once and for all to go to the Exumas, we determined that our strategy would be to get to Georgetown quickly and then explore as we slowly worked our way north. We are thinking that for our return visit this fall we will start in the Exumas, so we wanted to see if Georgetown would be a viable base for us in the winter months. But before we could get to Georgetown, we needed to wait out some weather in Rock Sound, Eleuthera. Rock Sound proved to be a nice place to spend several days. The harbor was large with great protection and holding, perfect for riding out several days of winds in the mid-20’s. Our friends Jay and Tanya from S/V Minx were also in the anchorage so we were able to hang out several times with them (we had last seen them in Vero Beach) which was a lot of fun. There is a blue hole in the middle of the settlement that we checked out (our first one), and we joined a group of cruisers for lunch at Sammy’s which had good food for a VERY reasonable price. I have been charmed by the homemade signs all over the Bahamas pointing the way to various attractions.